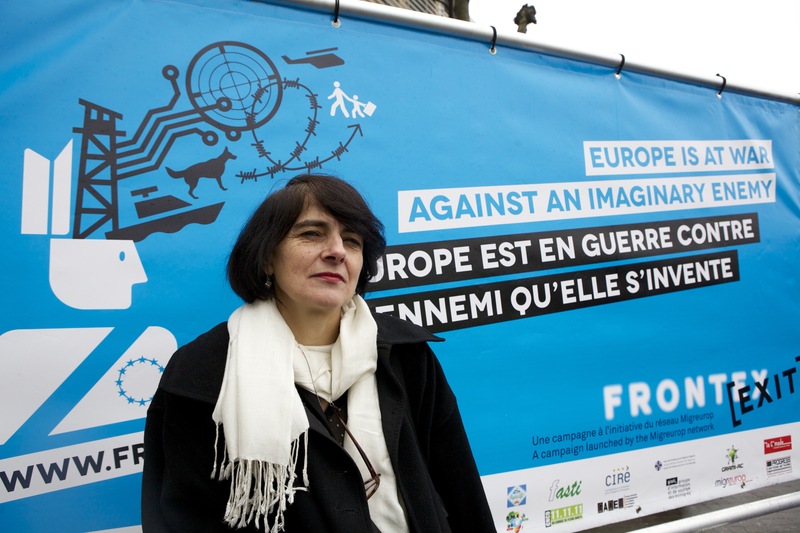 Following the first two launches of the campaign FRONTEXIT in Nouakchott (Mauritiania) and Brussels (Belgium) on 20 March 2013, the World Social Forum hosted on March 28 2013 in Tunis, the third launch of the campaign supported by many organisations of human rights defense of the North and South of the Mediterranean.These organisations are calling on FRONTEX, the EU border agency, to be transparent and accountable in its management of Europe’s external borders. Most importantly, they demand that the rights of migrants are respected at the borders. 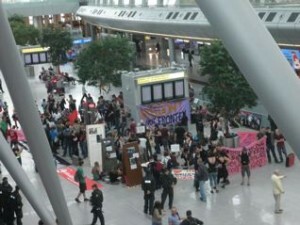 The Warsaw noborder collective and occupied social center Syrena invites all to a week of actions against Frontex and Euro Apartheid 2012. Throughout the week starting on May 18th we will engage in creative interventions in public space around Warsaw and various other activites, including film screenings, discussions, book presentations and concerts. A 9-year-old girl and her grandfather have gone missing in their effort to cross the freezing Evros river from Turkey to Greece on a boat (with another nine sans papiers immigrants) which was overturned Meanwhile, a boy of 3, child of sans papiers immigrants, was saved and is being kept at the University Hospital of Alexandroupolis. The boy is in a very good condition. The boy had been saved by a sans papiers immigrant and his compatriot, both of whom were arrested by the police in Orestiada. It is they who informed the police about a shipwreck with nine passengers. 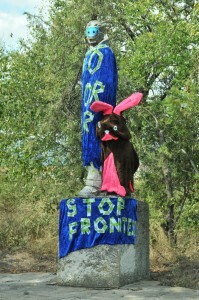 Today, the nobordercats crossdressed the monument of the borderguard and his german shepdog in Svilengrad (Bulgaria). “This is an action aignst Frontex”, explaned nobordercat Matze. 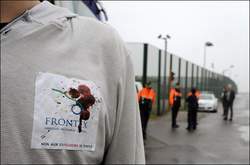 Frontex is the EU border agency, which was established to tackle the so called “illegal migration”. The Frontex officers already arrived in Bulgaria. They train the bulgarian border police to build up fortress europe. 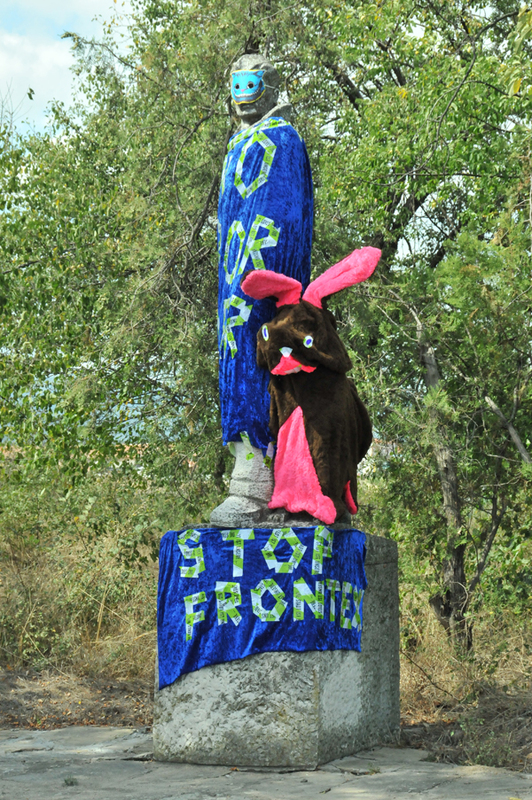 Frontex is also operating with RABITS – Rapid Border Intervention Teams – for example at the turkish/greek border. They are hunting refugees. Nobordercat Felicitas explains: “Rabbits instead of RABITS”. Freedom of movement! NO BORDER! These developments, together with the deterioration of the migrants’ situation in neighboring Greece, are the two immediate reasons for organizing a No Border camp at the border between Bulgaria, Greece and Turkey in the coming summer. The camp will run from the 25th August until the 29th of August 2011.